Learn more about the best acoustic guitars on the market, acoustic pickups and acoustic amplifiers. Performer Magazine’s team of product experts and reviewers explore the latest in acoustic guitar trends, acoustic guitar technology and provide updated reviews on the best acoustic guitars available today. Acoustic guitars are a different animal than their electric counterparts, and come with their own set of considerations, accessories and requirements that electric guitars don’t have. Acoustic guitar amps are wired differently than traditional electric guitar amps to properly amplify signals coming from acoustic pickups, and acoustic preamps and fx pedals are specifically designed to take advantage of the acoustic guitar’s natural tone and resonance. 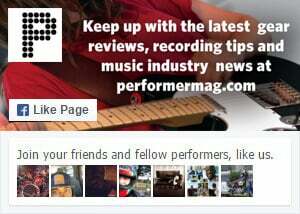 Performer’s reviewers are experts in the field, and will help guide you as they explore current gear trends in the acoustic guitar world.